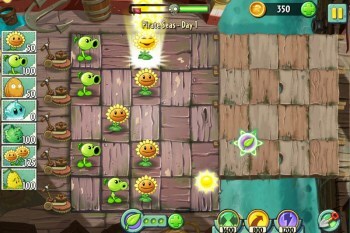 PopCap CEO Dave Roberts says the studio took a lot of flak for making Plants vs. Zombies 2 free-to-play but defends the move as both necessary and a great way to reach a huge audience. I've purchased the original Plants vs. Zombies at least four times - the regular box, plus three collector's editions - and I also have it on Steam, although I'm not sure how it ended up there and whether or not I actually paid for it. The point is that I've thrown a lot of money at this game, and I was disappointed to learn back in June that the sequel would be a free-to-play release. It may be an unjustified bias, but it's there nonetheless: I'd far rather pay up front for the full game than horse around with nickels here and dimes there as I play. But PopCap CEO Dave Roberts defended the change in an interview last week, even as he acknowledged that not everyone was thrilled with it. "We've gotten a lot of flak in the games industry for going free-to-play. Everyone is, 'Free-to-play is so evil'," he told Geekwire. "But part of it is, look, we can now talk to a million people in a day or two million people in a day or five million people, or whatever it is going to end up with today. That's a huge deal. People forget that freemium can really be a great thing because we are really showing a lot of people the game, and they are excited about it." Roberts said that from a financial standpoint, free-to-play is where it's at these days, pointing out that the top-grossing games on the App Store are F2P and "you have to get down to 70 or 80 or 90 [in the list] before you see a paid game." He also noted that PopCap's previous model, based on a 60-minute trial, drew criticism from gamers too and had a tiny conversion rate of just two percent - and was just as open to "abuse." "There were notorious games that had 63 minutes of great game play that sucked," he said. "I think there are ways to abuse any business model, and people sometimes say, 'Yeah, you can do horrible things with that.' Yeah, of course you can... With PvZ we have a pretty important brand here and we are trying to protect it."